Today, there are about 130,000 Ethiopians living in Israel, of which more than 38,000 are Israeli-born. In the following we shall briefly outline the origins of these communities, their journeys to Israel and their status within contemporary Israeli society. A variety of narratives exists, which outlines the origin of the Beta Israel (Hebrew: "House of Israel"), the Jewish communities of Ethiopia. According to one version the Beta migrated to Egypt after the destruction of the First Temple in Jerusalem. The community remained in Egyptian exile until the defeat of Cleopatra by Augustus Caesar, which threatened the well being of the minority group and led them to the decision flee once again. On different routes, it is said, they migrated and ended up in today's Ethiopia. The Kebra Nagast, the Book of the Glory of Kings, describing the Ethiopian history and probably stemming from the 14th century asserts that all Ethiopians are descendants of Israelite tribes who came to Ethiopia with Menelik I, reportedly the son of King Solomon and the Queen of Sheba. According to the Kebra Nagast, the Beta Israel descended from a battalion of men of Judah who fled towards Ethiopia after the breakup of the united Kingdom of Israel in the 10th century BCE. The Beta Israel themselves claim to be descendants of the tribe of Dan, one of the Ten Lost Tribes, which had formed the Kingdom of Israel, and which had disappeared from all the texts after the Assyrian destruction of said kingdom in 720BCE. According to their own tradition, the community received the name Beta Israel from Ezana, the emperor of Axum (crowned in 325 CE) who had declared Christianity as the religion of the Ethiopian empire, and who thus called those who refused to convert to the new official belief system Beta Israel. After a revolt which amounted to a civil war between the Jewish and the Christian population, the Beta Israel established their own Jewish kingdom. After numerous attempts by different rulers to defeat and/or annex the Jewish kingdom, the autonomy of the Beta Israel in Ethiopia finally ended in the 1620s, when Emperor Susenyos I confiscated their lands, sold people into slavery and forcibly baptised others. Although, as a result of this oppressive period, much of traditional Ethiopian Jewish culture and practice was lost or changed, the Beta Israel continued to flourish within the country. During the 19th and 20th century there have been further various attempts to convert the Beta Israel to Christianity. Under the guise of the London Society for Promoting Christianity Amongst the Jews, an estimated number of 2000 Beta Israel members converted to Orthodox Christianity and thus became known as the Falasha, or Falash Mura. The Beta Israel consider Falasha to be a wrong translation and a derogatory term meaning "foreigner" or "stranger", which should therefore not be used to describe them. Ethiopia's history as a whole, as well as the lives of the Beta Israel within it continued to be turbulent. 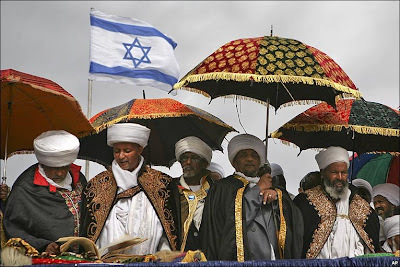 For the same reason, after the foundation of the State of Israel in 1948, more and more Ethiopian Jews considered to leave their home country, a notion that then Emperor Haile Selassie opposed fiercely and refused to grant them permission to leave the empire. However a small number of Beta Israel illegally immigrated to Israel in the 1960s and 1970s and managed to raise more attention and support for their communities at home. After a dispute between different chief rabbis, the Beta Israel were recognised as a descendant tribe of Israel and its members therefore became eligible to migrate to Israel under the Law of Return. 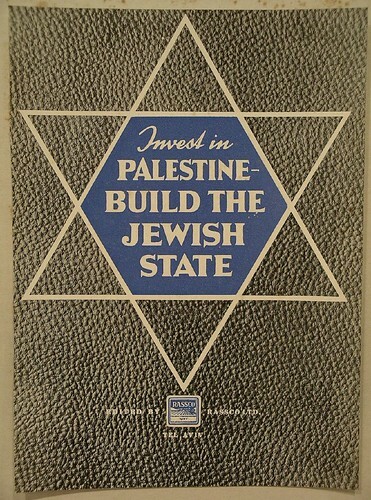 With the outbreak of the Ethiopian civil war, the concomitant increasingly anti-Jewish sentiments under the military regime, but specifically after a series of severe famines shaking Ethiopia as a whole, Israel prepared to bring and absorb large numbers of the Beta into the Jewish State. During a number of operations starting in 1979 and aided by the Mossad, Israel's national intelligence service, tens of thousands of Beta Israel, as well as Falash Mura, were brought to Israel where they settled down. In the 1980s an estimated 4,000 people died one their way to Israel walking on foot through Sudan. Today there are about 130,000 Ethiopians living in Israel, of which more than 38,000 are Israeli-born. The integration of the Ethiopian Jews into Israeli society has not and does not continue to run smoothly. One reason for this is that the integration approaches by the different Israeli institutions has always emphasised the so called "national interest", which is basically defined by Israel's dominant group, i.e. Ashkenazi Jews, whose origins and therefore also diaspora experience was located in Central Europe. Many of the first wave Ethiopian immigrants recount experiencing cultural shocks upon their arrival in Israel. While many Israelis would deny the idea that Jews could be racist towards other Jews, the experience of the Beta Israel proves the contrary in basically all dimensions of life. 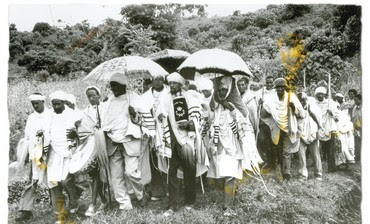 In the sphere of religious life, specifically the religious authorities of the Beta Israel still fight for recognition. 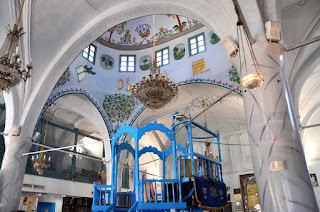 Due to their different customs many Ultra Orthodox Jews still do not acknowledge the Beta Israel as being Jews or even Israelites and therefore also doubt the validity of the rites performed by their religious authorities, claiming they did not comply with the Halakha, the religious laws for Jews. Stemming mostly from rural areas in their home country, the big majority of first generation migrants from Ethiopia lacked the experiences, the education and the training suitable for an industrialised economy and up until today the socio-economic status of the Beta Israel still lags far behind the Israeli average. According to a research conducted by Bar-Ilan University, issued in 2012, members of the Beta Israel earned 30%-40% less than Palestinians with Israeli citizenship, who obviously constitute an underprivileged group themselves. While the prospects of Israeli born Ethiopians seem to have slightly improved, they still commonly suffer from discrimination in the areas of education, employment and housing. Although the Israeli government officially has always spoken out against any form of racism levelled against Ethiopian Jews, the reality on the ground looks differently. Only last year an Israeli journalist found out that large numbers of Ethiopian women were given birth control injections against their will, which decreased the birthrate among Ethiopians in Israel by 50% in the last decade. Official institutions, such as the Health Ministry, obviously denied any intervention in family planning issues among the Ethiopian immigrants. There is however one big difference between the first and the second generation of Ethiopian Jews in Israel. While the generation of their parents thought it a privilege to come to Israel and therefore did not dare to complain, Ethiopian activists say, the younger generation of educated adults who have grown up in Israel, do speak out and against the discriminatory treatment of their communities: "The time has come to fight to be Israelis".